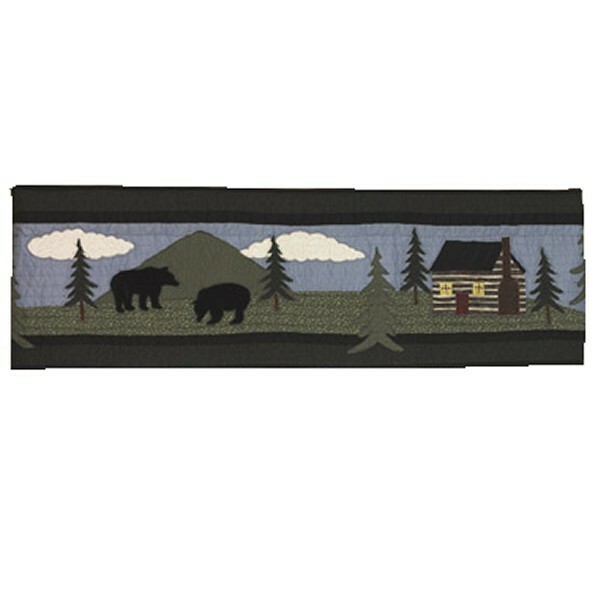 This quilted rod pocket Bear Lake Valance/Runner features two black bears and a mountain cabin. This rustic piece can also be used as a dresser or table runner. 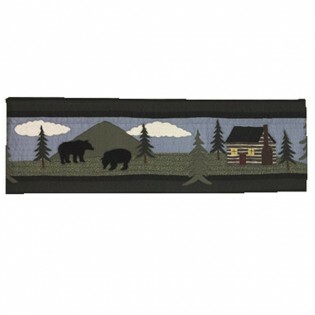 This quilted rod pocket Bear Lake Valance/Runner features two black bears and a mountain cabin. These rustic bear valances can also be used on a dresser or as table runners.